An investigation was underway in Riverside after a fatal officer-involved shooting on Tuesday, Nov. 18, 2014. 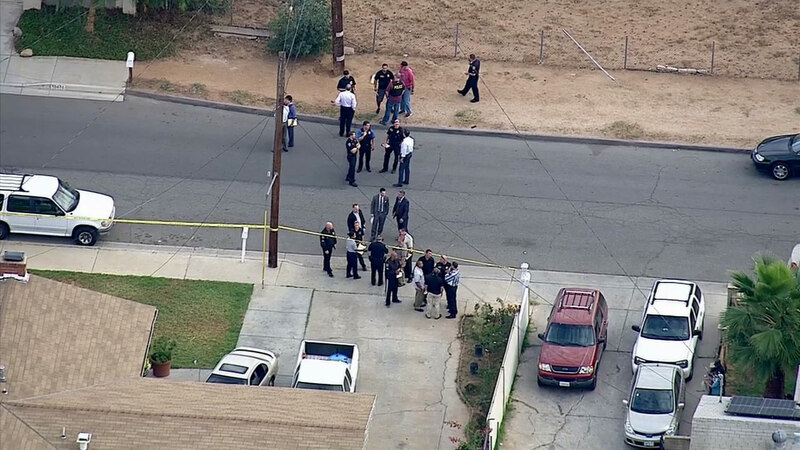 RIVERSIDE, Calif. (KABC) -- An investigation is underway in Riverside after a suspect was killed in an officer-involved shooting Tuesday. Officers were conducting a narcotics-related investigation in the area of Keller and Bushnell avenues and attempted to pull a driver over. The driver stopped in a driveway in the 5400 block of Bushnell Avenue and fled on foot. Officers chased him into a backyard in the 10400 block of Keller Avenue, when the suspect turned and pointed a gun. Officers then shot the suspect several times, officials said. The suspect was pronounced dead at the scene. Riverside Police Lt. Mike Cook said a gun was recovered at the scene. Streets in the area were closed for the investigation. Drivers were advised to avoid the area.